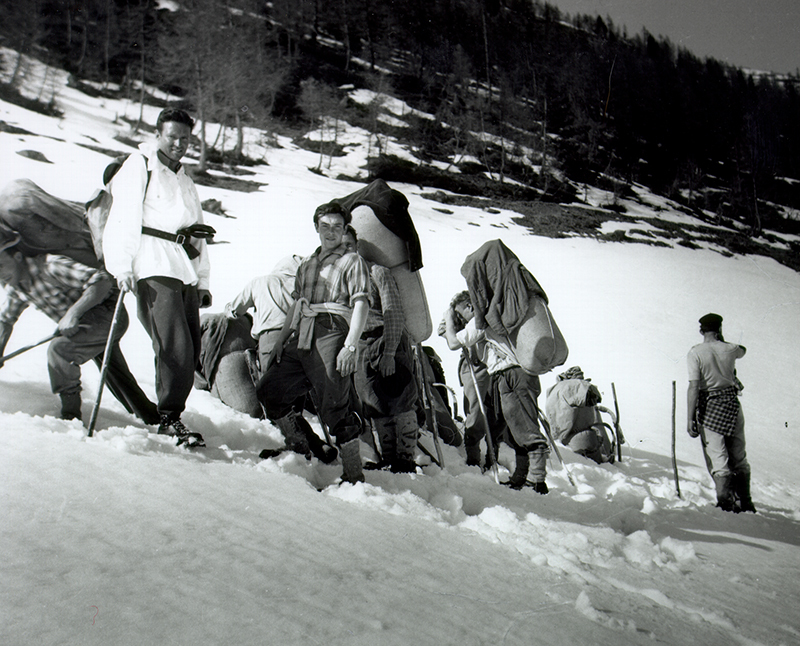 During the Second World War, the Swiss border took on momentous significance for countless civilian refugees, partisans, deserters and harried foreign troops. Smuggling across the southern border reached its climax. 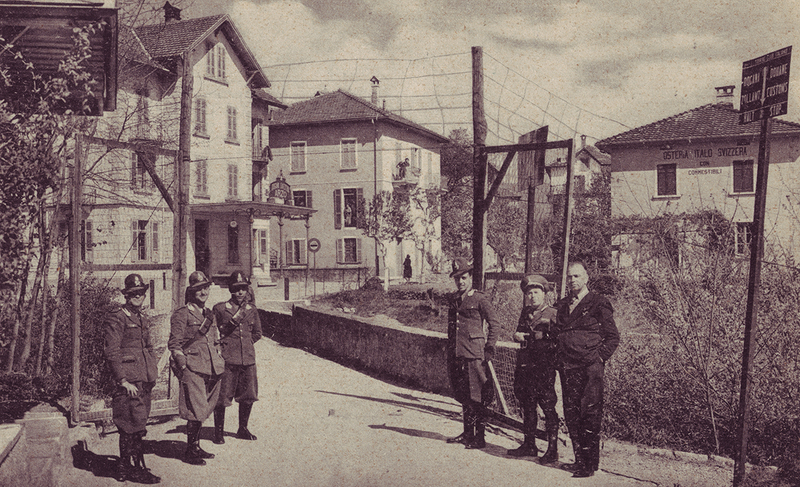 With the introduction of the wartime economy in Switzerland, the country’s people, businesses and army were to subsist on a distribution system governed and controlled by the state. Alongside government intervention in business and the distribution of food, the system also gave greater attention to combating smuggling and the black market. During the initial war years, there was a sharp decline in this illicit form of trading. 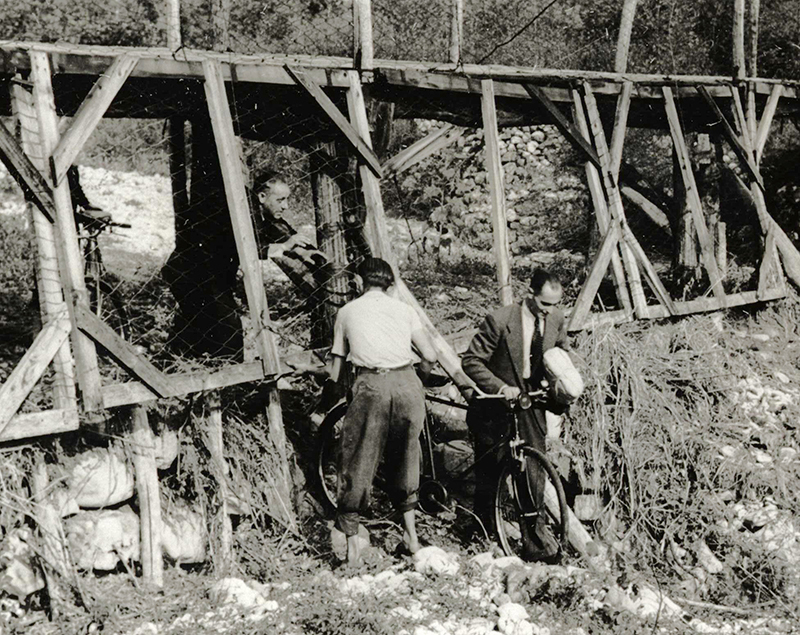 While smuggling activities remained relatively low in northern and eastern Switzerland especially, they rose to unprecedented heights along the southern border from autumn 1942, this time in the reverse direction from Italy into Switzerland. This was all down to the chaotic situation in the north of Italy. After the Allies landed in Sicily in July 1943, the region was occupied by German troops. Having been rescued from captivity by a detachment of German soldiers, dictator Benito Mussolini was made head of the Italian Social Republic Repubblica Sociale Italiana, a German puppet state. The situation for the people living there deteriorated rapidly and many fled to Switzerland. Numerous conscientious objectors, deserters and partisans went underground or retreated into the mountain regions along the Swiss border. However, it was virtually impossible for them to find any form of steady work there, and they stopped receiving food stamps for their already meagre rations. In the face of these struggles, many became smugglers simply to survive. Entire convoys of people set out to bring food such as flour, butter, salami and cheese as well as shoes, bicycle tyres, silk and donkeys over the border. By far the most commonly smuggled item was rice, however, which is why people living in the border region still refer to those years as the epoca del riso (the age of rice). Astonishing amounts of rice were seized on the southern border: 115 tonnes were confiscated in the last year of the war alone! The same period saw 9,154 smugglers caught, although the actual rate of illegal goods trafficking is likely to have been as many as five times as high. 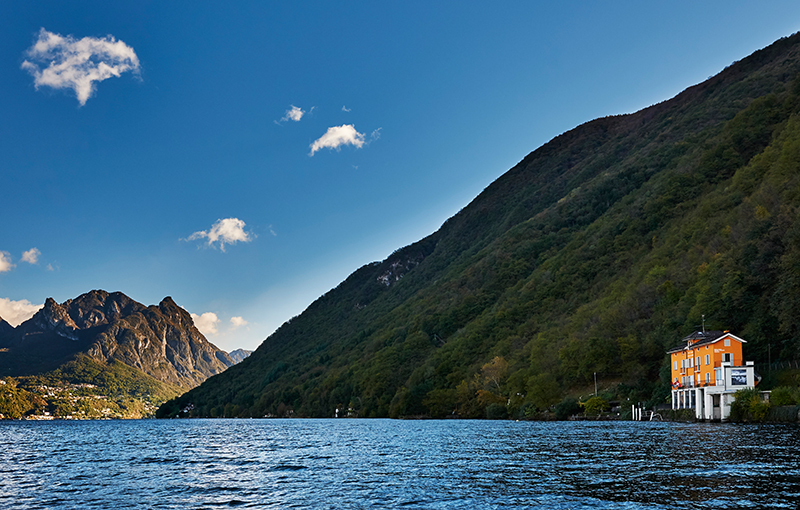 The Ticino customs district annual reports spoke of a «veritable smuggler invasion». 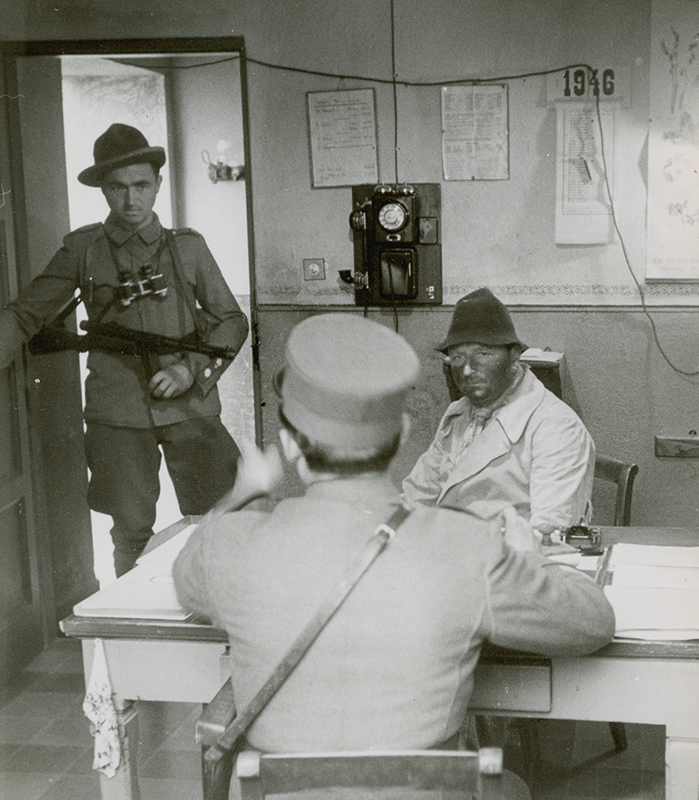 The Second World War represented a significant turning point in the history of smuggling. Having mostly come from Switzerland into Italy previously, the vast majority of smugglers now operated in the opposite direction. This phenomenon was not, as has long been the assumption, primarily down to the desperate need for food in Switzerland but is first and foremost a result of the exchange rate between the Italian lira and the Swiss franc. During the war, the Swiss franc remained relatively stable thanks to the Swiss National Bank’s (controversial) monetary policy. In Italy, however, the value of the lira plummeted rapidly. When the Italian smugglers sold their goods in Switzerland, they traded the amount they collected on the black market in Italy, where the Swiss franc was in high demand. The proceeds could buy them a lot more than they had started out with. Smugglers knew the border like the back of their hands. Some of them even acted as «passeurs» who would bring allied soldiers and Jews who had escaped prison camps over the border. It was not uncommon for them to shamelessly exploit the Jewish refugees’ fear of death and demand extortionate payments. There are examples of up to 50,000 lira per crossing. 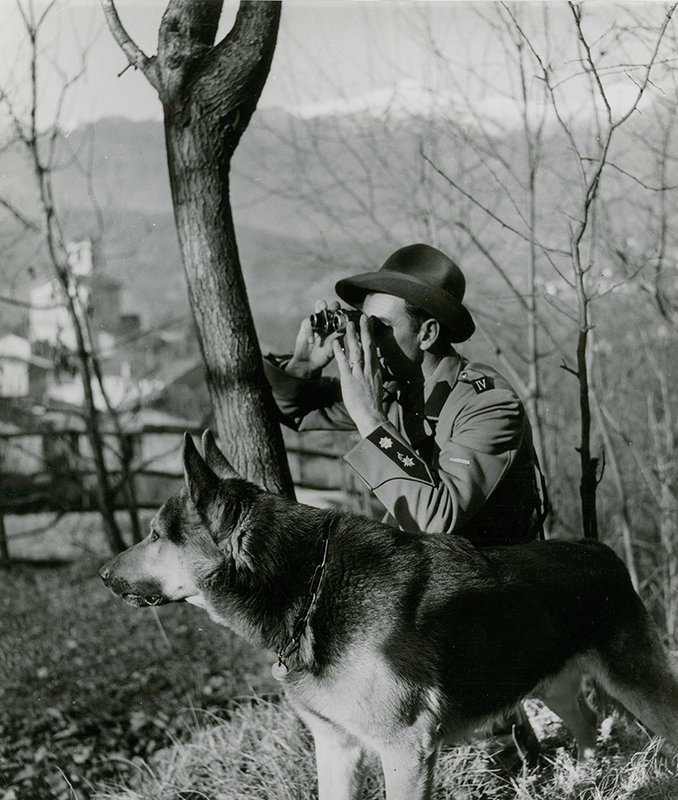 Even the Allies’ intelligence services stationed in Ticino were reliant on the smugglers’ help, using them to supply the Italian resistance with financial support and weapons. During the war, a great many weapons were in circulation throughout the border region. Conflicts on the border sometimes descended into bloody clashes, particularly where former soldiers or partisans became smugglers. For instance, an altercation broke out between a soldier and three smugglers near the Cantine di Gandria border post, now the site of the Swiss Customs Museum, on the morning of 27 November 1944. For one member of the smuggler group, a man named Rinaldo Fiumberti, the clash was to prove fatal. Tragic incidents like these also mobilised the press, whose commentary on these events was published under the title “The Wild West in Ticino”. News coverage like this has meant that the smuggler invasion is still firmly embedded in the collective memory of those living in the border region today. You can find out more about smuggling between Switzerland and Italy at the Swiss Customs Museum in Cantine di Gandria. The museum sells copies of the book Das Schweizer Zollmuseum (the Swiss Customs Museum, available in French, German and Italian), which provides more background on smuggling and chronicles the museum’s history. Open daily from 1 p.m. to 5 p.m. from 25 March to 21 October 2018. 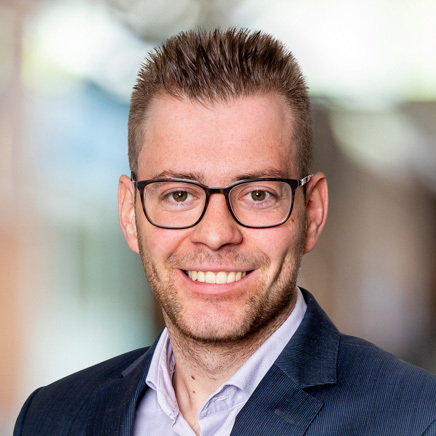 Jean-Luc Rickenbacher is a historian and has previously worked for several Swiss museums, including for the Customs Museum in Gandria.